Where are the Alzheimer's Caregiver Helpers? One issue that really frustrates me is the treatment of Alzheimer's caregivers. Most Alzheimer's caregivers hear people tell them how wonderful they are for taking care of their loved one. And then? As a caregiver, myself, I learned to appreciate the compliments. They help, they really do. But, if you have a friend or a loved one that is an Alzheimer's caregiver and that is all you do it is not enough. Many Alzheimer's caregivers are treated poorly by family and friends. The is a sad truth that is rarely discussed. I meet and talk to caregivers all the time that tell me one by one their family and friends fade away as time goes. Article - Are Alzheimer's Caregivers the Forgotten? Oh, the friends and family call and give them the 'rah rah siss boom ba" and then they get on with their life. Meanwhile, the caregiver puts their life on hold or worse--they have no life--while caring for an Alzheimer's sufferer. Calling and letting the caregiver "vent" is helpful, very helpful, but it is not enough. Caregivers need to get away from it all and get a respite--even if its only for a few hours at a time. Like it or not, if you are a family member or friend of an Alzheimer's caregiver and you are not helping them--you have abandoned them. I am sure this sounds harsh. But, it's not even close to the harshness of your behavior. Folks, caregivers need help. A few hours here and there to get away from it all is an important step in improving their lives. Some time to enjoy the world outside their home. Time to re-attach with others. This rarely happens for do it alone caregivers. Now to the real purpose of this article. First, if you know an Alzheimer's caregiver find a way to organize the troops--friends and family--and get involved. Somebody has to take the initiative and if you are reading this article--take charge now. Second, if you know a family that is dealing with Alzheimer's send them this article via email and encourage them to organize up their own troops and do something. Nothing works better than a small team of caregiver helpers. The key words here are team and team work. Why am I so passionate and adamant about this? Topic - Do People Living with Dementia Feel Abandoned? Forty percent of Alzheimer's caregivers end up suffering from depression. Do you want to see this happen to a friend or loved one? I hope not. We know one thing, four out of every ten Alzheimer's caregivers will suffer from depression. Have you given this any thought? Alzheimer's is a sinister disease--it kills the brain of the person suffering from Alzheimer's. And, it will try to kill the brain of the Alzheimer's caregiver. I really don't believe this problem is well understood. Here are some actions that will improve the life of the caregiver and help them avoid depression. The Alzheimer's caregiver needs to get away from it all. They need a respite every few days. This means someone must take over while they go do something they enjoy. Let me tell you something. When I get to go to the store all by myself and take my time while doing it I really enjoy it. It is nice to actually get out in the world all by myself. Being around other people, people I don't know or ever met is actually uplifting. I bet you take this kind of thing for granted. For me, its a treat. Invite your Alzheimer's caregiver and their loved one over for lunch or dinner. Or take both of them out. Its called socialization. 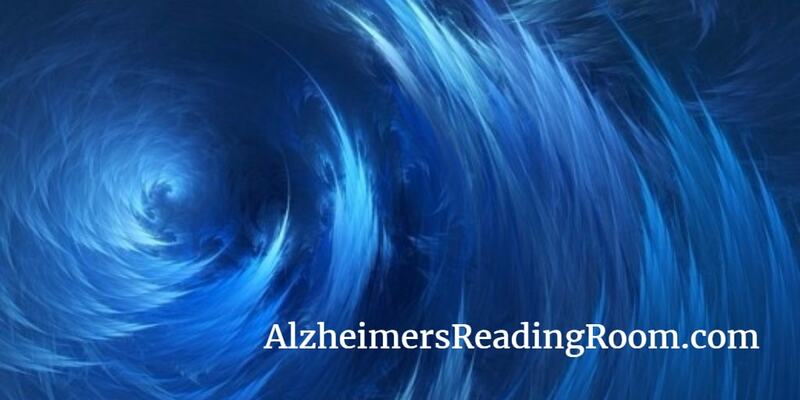 I can tell you most Alzheimer's caregivers will tell you one of the biggest problems they face is socialization. If you don't believe me--ask. Once again from personal experience, I can tell you being out in the world and socializing really benefits the Alzheimer's sufferer. What is not as apparent is how much it benefits the Alzheimer's caregiver. This one is tough but could very well keep the caregiver from becoming depressed. Many sufferers of Alzheimer's get up in the middle of the night. This means the caregiver needs to get up. This means the caregiver is not sleeping well. Sleep deprivation leads to depression. Imagine what you would be accomplishing if you found a way to insure that the caregiver you know got a good night's sleep. Do you know an Alzheimer's caregiver? Ask them when was the last time they went to a movie? You might be surprised when you hear the answer. Solve this problem through team work: one person can look after the sufferer and the other one can take the caregiver to the movies. This is a "get away from it all experience" that is really beneficial to the mental health of the caregiver. Many caregivers get abandoned by friends and family. The reasons for this varies widely--ranging from denial, dysfunction, to fear of Alzheimer's. Many times friends and family while living their own busy lives fail to realize what is happening to the caregiver. An Alzheimer's caregiver might vent to me or vent on the Internet about this issue; but, they rarely tell friends and family what they need. Worse, they rarely get asked directly from friends and family what they need most personally. I am not talking about running down to the grocery store to pick up a quart of milk. You can do something about this problem. The best solution is to organize a small group of people and to come up with a plan to assist the Alzheimer's caregiver. Think of it as adopting your caregiver. Here is something I know from my own experience. If you take action you'll end up feeling good about yourself. Action will change and enrich your life. Don't allow Alzheimer's to take control of the caregiver -- form a team to take control of the problem. The caregiver gets a life, the sufferer gets more effective care, and the team gets the wonderful feeling that comes along with doing something and getting involved. *** Cope. To face and deal with responsibilities, problems, or difficulties in an effective and calm manner or way.